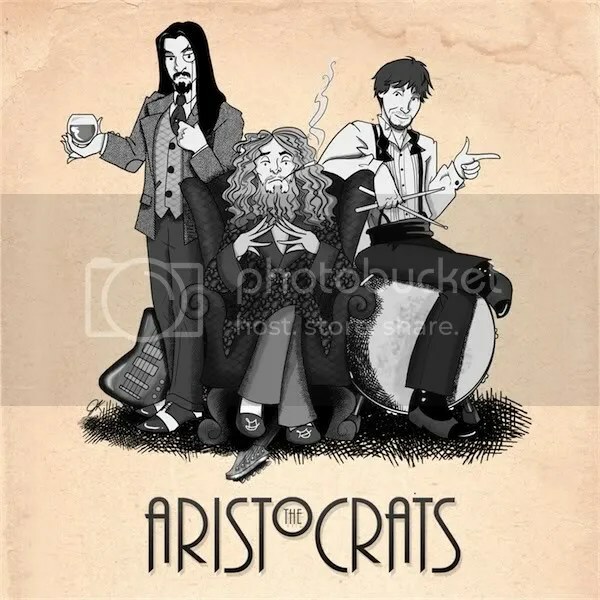 Last Thursday myself and guitar shredding friend were invited to see The Aristocrats play at the Robin 2 in Bilston (nr Wolverhampton) by the bands bass player Bryan Beller (@bryanbeller on that there twitter). We were lucky enough to catch Bryan’s bass clinic where he spoke in detail and about groove, tone and the importance of being yourself in music. Bryan is a master of the low end and excellent educator who was captivating and motivating. He demonstrated some of the metal bass concepts from his recent DVD (which I will be adding to the bass resources for Leicester College students). Bryan invited us to hang out for sound check which really demonstrated what an amazing group of musicians The Aristocrats are. Tech heavy shredding that actually sounds like music is no mean feat and these guys are at the top of their game. The gig was a high octane performance, full of humour, fun, great grooves and awesome music. I came away from the evening truly inspired to practice more, that rarely happens these days. A big thank you to Bryan, Guthrie and Marco for making us feel so welcome and a jaw dropping live show.